Thsi is the first Deer I took w/traditional gear. 57lb Big River recurve. Wensel woodsman broadhead. POC arrows, TradGang Wraps. 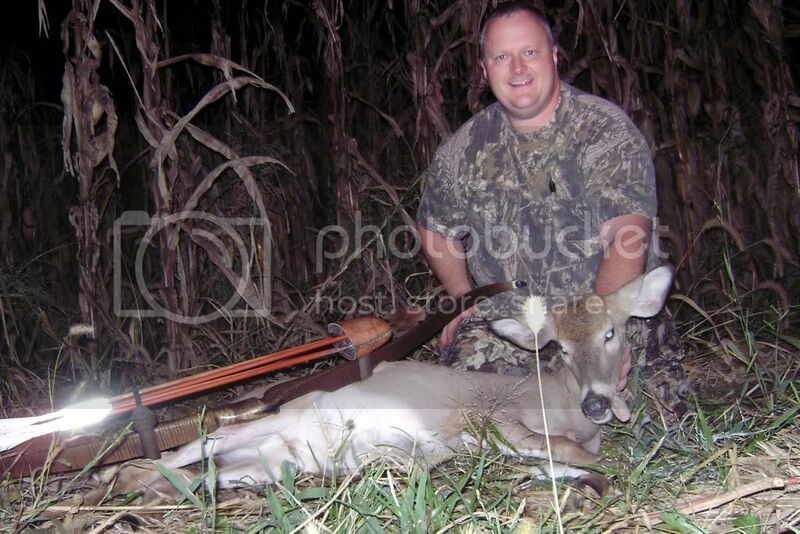 This deer was taken in Indiana. A story about the hunt is in the Pow Wow section. Way to go and nice looking bow also. Congrats that first one is always the hardest! I gotta start huntin' corn! Nice deer, Jim!